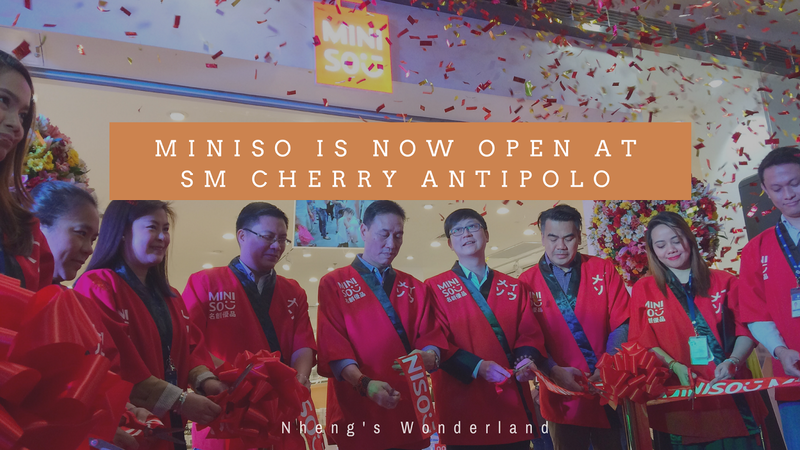 Miniso Is Now Open At SM Cherry Antipolo! Another branch of Miniso is now open at SM Cherry Antipolo! We all know that Miniso has several cute and affordable items in store for all of us Filipinos. Now, there are a lot of branches reaching out to the not-so-far places here in the Philippines. Glad that there is quite a selection of branches in Antipolo. Better in items hunting that you need to just hop from one place to another. See here where I posted about the grand launch of Miniso at SM City Masinag. Be sure to get that item that caught your eye as their stocks are always changing. MINISO advocates the philosophy of quality life and in the brand spirit of “respecting consumers”, dedicates itself to providing customers with products of “high quality, competitive price, and creativity”. The grand launch was simple but the Japanese tradition ceremony was still held. Confetti's are all over the place too. Everyone enjoyed having their very first purchase at the newest branch. The staff are all ready to serve the customers that day. Same as the other Miniso branches, the store has a wide space for several items that are placed perfectly on their stalls. Of course, the colorful items will initially catch your eye, perfect for gifts this coming Christmas season. Below are the pictures of available items on the day of the launch. I got myself a new selfie ring-light and lenses for my Iphone! I'll definitely be back here! Be sure to have your Debit Card with you as they have promos when you use it with minimum purchase. And don't forget your SM Advantage card for your points. Again, congratulations Miniso on your new branch! Visit them on the ground floor near the supermarket of SM Cherry Antipolo.